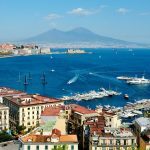 The fashion capital of Italy is one of the country’s most visited cities and that’s for a reason. When one thinks of Milan, the first associations are, other than expensive brands and bunch of very stylish Italians of course, the worldwide known Duomo cathedral, typical Italian pizza, the Castello Sforzesco, the Galleria Vittorio Emanuele II and so many other things that will take your breath away in this stunning historical city. Only 3 days are enough for this city to make you want to come back someday for a bit more of an Italian adventure. In case you’re planning a trip there soon, check out our 3-day travel guide through Milan! Milan has three airports nearby: Bergamo (Olio al Serio), Linate and Malpensa. No matter which one takes you there, reaching the city centre is easy. You can use airport shuttle bus (5,00 € per ticket) or a train which will leave you at the main rail station (Milano Centrale) located at the Duca d’Aosta Square. Upon your arrival, leave your baggage in a ho(s)tel and start exploring. First thing you should see is the Duomo cathedral, situated in the very heart of the city centre. Take the metro, line M1 or M3, and exit at the Duomo stop (If you take M2, you have to exit either at Cadorna and take M1 or at Centrale and take M3). See all the city metro connections. NOTE: Usually there is a long waiting line upfront, but you can avoid it entering the Museum of Duomo first, situated 50 m from the cathedral. The entrance fee is 2,00 € (for the cathedral alone the admission is free). If you still prefer staying in line in front of the cathedral, make sure you don’t have any inappropriate objects in your bag since the guards will check it. 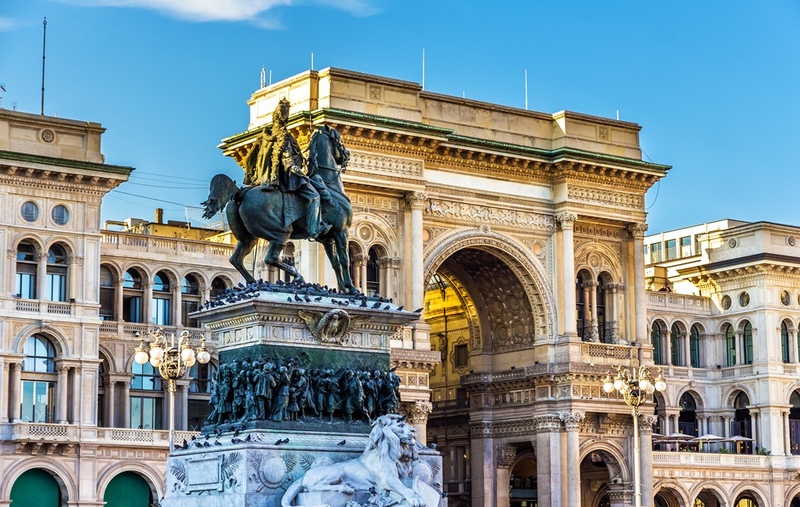 After visiting the Milan’s main site, continue to La Scala Opera walking through the Galleria Vittorio Emanuele II. It’s one of the world’s oldest shopping malls named after the first king of Italy. If you want to look at the interiors, check the schedule online to avoid performances taking places (unless you want to see one, then book well in advance). Follow the Giuseppe Verdi Road on the left of La Scala to get to the Brera District with many tasty restaurants, antique and art shops, nightclubs and even fortune tellers’ booths. There you can find Pinacoteca di Brera as well, the city’s main art gallery. On your first day you ought to see the Castello Sforzesco, situated close to the Duomo cathedral, today a home to many museums. The admission to the castle is free, but the museums charge the entrance. After finishing your tour, exit the Castello area at the front entrance and you will find yourself in Sempione park (the biggest one in Milan) from where you continue walking to reach the Arch of Peace, a magnificent city’s landmark. NOTE: Every year in early December, a very popular Christmas market is held near the Castello. It’s called ‘Oh bej! Oh bej!’ and offers traditional food, ornaments and souvenirs. On your second day, the Basilica di Sant’Ambrogio is a ‘must see’. It is one of the oldest churches in Milan and if you’re lucky enough to be there on Sunday, you can take part in a mass which features the Ambrosian lite in Latin. For science lovers among you, the Museo della Scienza e della Tecnologia Leonardo da Vinci is definitely a right place to see, moreover because it’s close to the Basilica di Sant’Ambrogio. It’s founded in 1973, dedicated to the Italian genius and one of the largest of its kind in Europe. Admission fee is 10,00 €. Since there is always a waiting line, we advise you to book your ticket online. To continue in the same vein, visit the Santa Maria delle Grazie church, an UNESCO World Heritage site. The seven chapels on the sides of the church served in the past as a burial place for the most influential Milan families and are also worth seeing. On the left of the main entrance, outside the church, there is Leonardo’s Last Supper. It is a national museum and does not belong to the church. The tickets should be booked in advance for there are major crowds and tourist waiting their turn. Chiesa di San Maurizio al Monastero Maggiore should be on your list, too. It is often called the city’s ‘Sistine Chapel’, because it is home to many important frescos from the Italian Renaissance. There is no entrance fee and the church is open from Tuesday to Saturday. Naviglio is a name which refers to the canal system flowing through Milan. 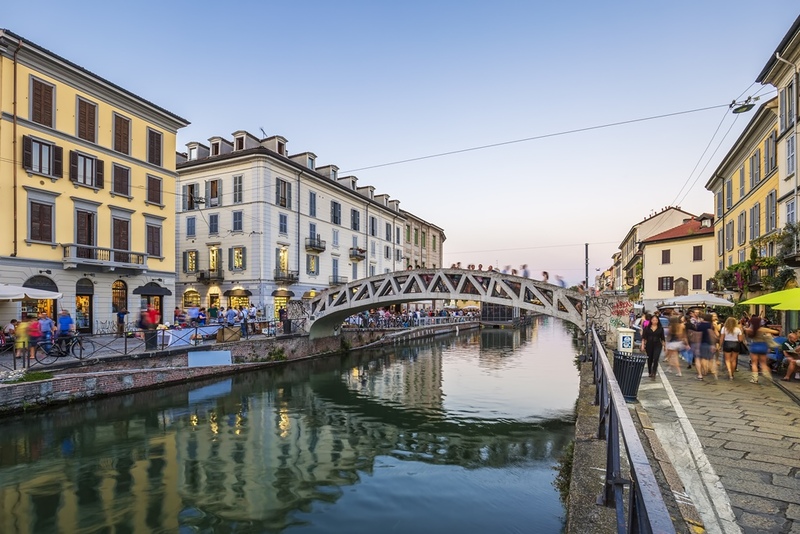 The Naviglio district was built in 12th century in order to connect Milan to Lake Como, Lake Maggiore and the city of Pavia. 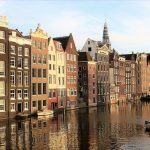 Today only 2 canals are still open. It’s a romantic area, full of restaurants, bars and art galleries. Also, you will see historical residues of the area since there are many typical Milan council houses left, called ‘case di ringhiera’. To end your day in a pleasant and enjoyable atmosphere, consider visiting Lab Milano Cocktail Bar, close to the Piazza Cinque Giornate, Armani Bamboo Bar, located inside the Armani Hotel Milano offering you an amazing aperitivo and stunning view of the city or famous Nottingham Forest, a tiki bar decorated with African and Asian influences. But what intrigues tourists the most is the Backdoor 43 bar. After the doorway made of bottles and shakers, there is a door with the sign ‘STOP! The smallest bar in the world!’ written over it. On the left side you’ll find a barman with a V for Vendetta mask, who will either give you the key (booking ahead necessary) to the door or take your order. However, you have to follow the rules above his head: ‘4’ is for takeaway, you can order only one cocktail at a time, you cannot ask any questions and you have to leave as soon as you get your drink without trying to open the locked door. The ‘3’ rule is for those who get the key as they enter in a small room where you can enjoy the bar by yourself, with a barman at your service. NOTE: Most Milan bars have Aperitivo offers between 06:00 p.m. and 09:00 p.m. every day with unlimited free food included for a set price on all drinks. But, in this period the prices of regular drinks such as juices or beers can be as expensive as cocktails. Also, sitting at the table is charged extra. The biggest tourist attraction after the Duomo cathedral is the Monumental Cemetary, also called the ‘open-air museum’. It contains the tombs of most prestigious Milan elite citizens, such as Pietro Cascella, Artuno Martini and many others. The guided tours are free, but you have to book yours in advance. On your last day you can do some shopping as well, considered you are in the Europe’s fashion capital, so visit the Fashion district located in the city centre, full of expensive brand shops like Versace, Dolce & Gabanna, Chanel, etc., but those who can’t afford such luxury, there are cheaper stores as well. After doing some shopping, you can rest in Giardini Pubblici Indro Montanelli, a favourite place of Milan people to relax, jog or hang out on the sunny days. The Italy’s biggest Planetarium Urlico Hoepli and the Civic Museum of National Art History are situated within the garden. Every Friday the admission to the Museum is free. To get there, use the M1 line and exit at the Palestro station. For one of your last Milan experiences (on this trip!) book a dinner on a vintage tram. The 1970s dark green trams are one of the city symbols, so hop on the number 1 and see the beauty of this historical city as you go. And don’t forget to book a ride on ATMosfera, serving dinner and wine while on board. If you wish to dance your way out of Milan with a crazy night out in one of the amazing city clubs, go to a luxuriously decorated Cavalli Club , a punk-rock centre Alcatraz, Riad Yacout for the Orient lovers among you, Armani Prive, expensive as it sounds but one of the city’s most visited clubs, or you can always stop and ask a local to recommend you a place. 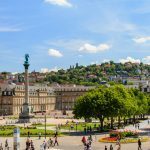 For those of you who wish to see some other places nearby, check out these routes: Milan to Bologna, Milan to Florence, Milan to Venice (Mestre), Milan to Pisa, Milan to Parma, etc. 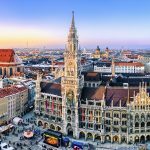 In case you’re interested in how to reach Milan from the major European capitals, see the following links: Paris to Milan,Berlin to Milan, Zagreb to Milan, Zurich to Milan or simply look up your route on GetByBus.com.